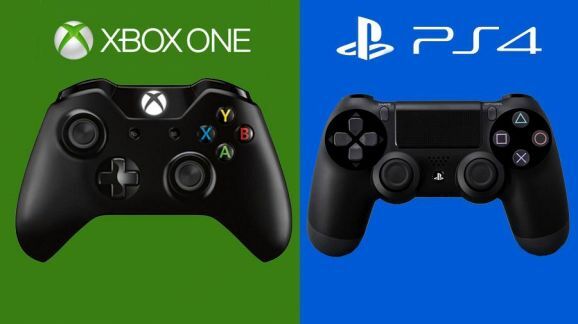 The PS4 and the Xbox One are the consoles stand against Mobile Gaming. The launch of a new console is extremely rare and happens every 7 – 8 years. The Playstation is in it’s 4th generation while the Xbox One is in the third generation. As you can see the Playstation brand has more experience in the gaming field as it is a generation more older. Whether that helps the PS4 or not , we will see in this faceoff! . The PS4 has a smallish , compact design that won’t look out of place in your living room. It looks awesome, like a futuristic device. It can fit into most spaces , but you wouldn’t want to hide this thing. It adds that extra class to your Living room. 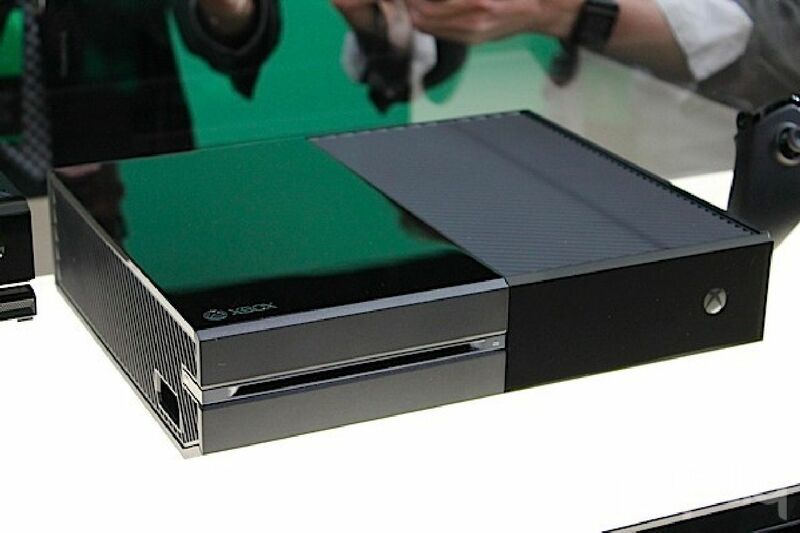 The Xbox One is a lot more fatter and is akin to a VCR player from the 1980s. You may dislike it at first but the design grows on you. The Xbox One is boxy and doesn’t have those fancy slants on the PS4. Both have great designs, but we have to give this round to the PS4, as it looks better, is slimmer and more compact than the Xbox One. Both the controllers are great. The PS4 controller is much better to hold than the previous versions and it also has a touch in the middle of it! This allows new and interesting ways for developers to implement the controller in their games. The Dualshock 4 also has a new and improved 6 axis sensor. The Xbox One controller is based on the tried and tested design of the Xbox 360 controller. It has a few improvements here and there which help us to hold it better, but no major changes. Although the Xbox One controller is comfortable to hold, it doesn’t offer any major improvements over the older version. But the Dualshock 4 of the PS4 has one major addition : A touchpad! So this round goes to the PS4. The PS4 has taken a lead from the first round, so let us come to the Specs round. Both the PS4 and the Xbox One have octa core AMD Jaguar processor and both pack 8 gigs of RAM. The PS4 reportedly has a bit more powerful GPU than the Xbox One but it is up to the developers to take advantage of it. Also the PS4 has less ram consumption with the Xbox One’s ram consumption going up due to the presence of three operating systems. Most probably they won’t as this would make cross porting games difficult. A similar thing happened with the Xbox 360 and the PS3 where despite the performance differences the games mostly looked the same on both. Even if the developers do take advantage, it would be some years before the changes actually start to show up as it takes time for the developers to take adapt to the new consoles and get to know them. The PS4 is still maintaining it’s lead with the Xbox One hard on it’s heels. Looking purely at the looks of the software, we can surely say that both look neat and elegant. 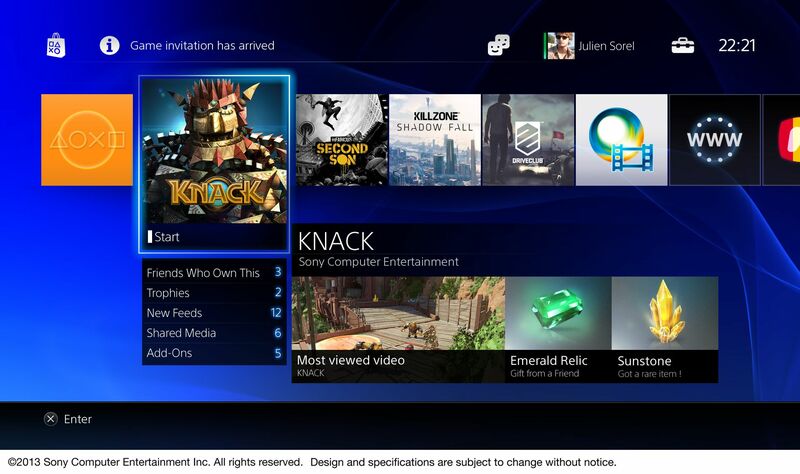 But the PS4 UI looks more vibrant and less cluttered than the Xbox One UI.. Seeing as how important looks are to the experience, this round matters. There is no use if something is powerful, but has an ugly UI. ; People wouldn’t buy something that doesn’t look nice. Another point to the PS4 ! Plus you can play UHD (4K) movies and videos too.. The Xbox One is designed to be the centre of your setup and be the media hub. The PS4 is built for gaming. It has no media frills other than the ability to play UHD movies. 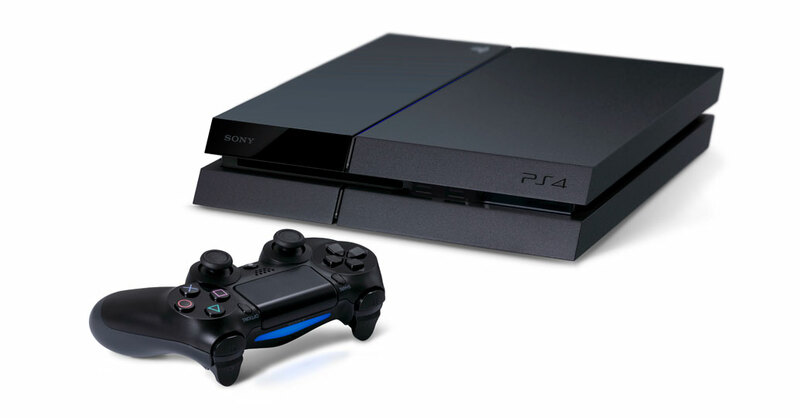 The PS4 doesn’t have much media – specific features. The PS4 is just no competetion to the Xbox One’s media capabilities..The Xbox One just blows it out of the water.. This round goes to the Xbox One. This is a tectonic shift! Never in history has the Xbox brand triumphed the Playstation brand in media capabilities! The Xbox One and the PS4 are in social features. You can share your Gameplay videos , chat with other players, view their achievements, etc. However Sony has a feature that is not available on the Xbox One. One that gamers have being asking for ever since the inception of the concept of downloading games : Ability to play games before it is downloaded. This is a huge feature. Also Sony has the additional expertise of cloud firm Gaikai , which they have acquired. The PS4 also has the exclusive remote play feature which allows to play PS4 games on the Vita through the internet; i.e the processing is being done on the PS4 and the PS Vita is just acting as a display for the game.. It is rumoured that Sony is going to embrace cloud gaming and allow you to play PS4 games on the go, anywhere with a strong internet connection. The processing is being done in the cloud the the display is being outputted to your device. 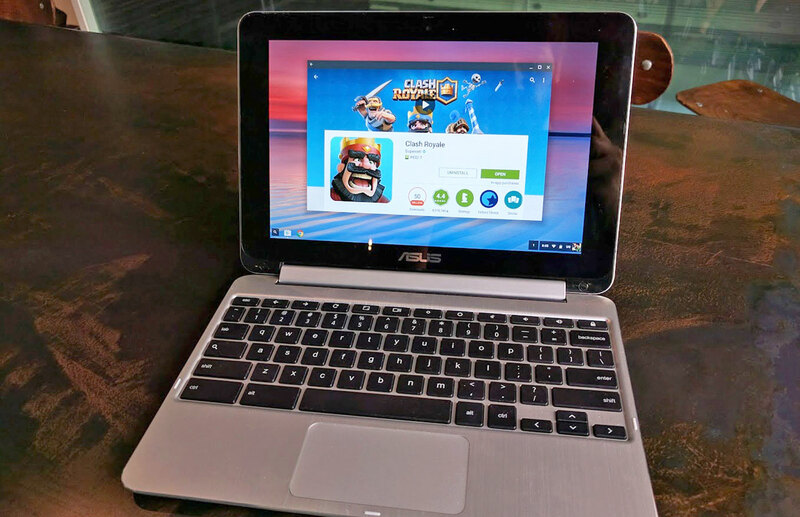 It is rumoured that such a system can come out as soon as Q3 2014. The Xbox One also has it’s share of exclusive features , mainly cloud computing : In which parts of the game which don’t require quick feedback, like lighting are calculated and rendered in the cloud and then outputted to the Xbox One over the internet. This means more realistic and faster rendering. Each Xbox One will be give the storage and CPU power of three Xbox Ones. But as of now this has been implemented in only one game : Forza Motersport . Sony takes the prize in this round as : Remote Play is compatible with all games and PS4 has more Exclusive Features. The Playstation Brand always lagged behind the Xbox Brand in Multiplayer Capabilities. Not anymore. Playstation network has ramped up it’s infrastructure and with a Playstation Plus account, you can also download some games for free. And you don’t even have to wait for them to finish downloading. The Xbox Live experience is as great as ever and with Xbox Gold membership , you can get many games for free. Multiplayer gaming is great on both and so, this round is a draw. It is still early to compete these consoles on games but still, here we go! The Playstation eye has a 720p sensor which is quitew accurate but is no match to the 1080p sensor of the Xbox One’s Kinect. It has 4 mics for accurate voice recognition and also has face recognition feature. 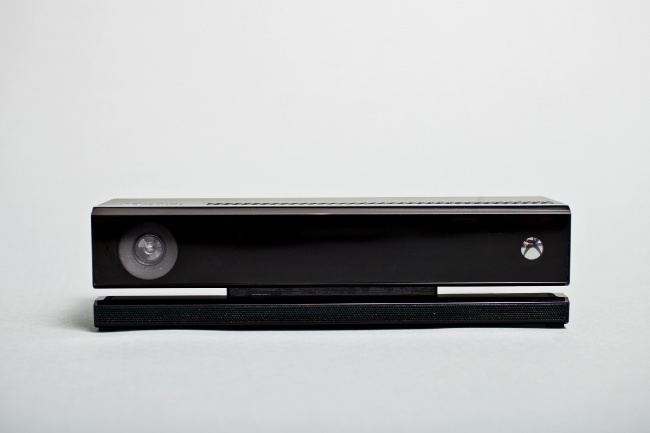 The Xbox One ‘s biggest asset is the Kinect. It has a 1080p sensor which is mindblowingly accurate. It can detect everything from the smallest wrinkle on your shirt to upto six people in a room. And then there is the advanced voice recognition and ir transmitter which makes life easier by allowing you to control the Xbox One and other appliances through your voice! This round’s winner is no doubt the Xbox One. The PS4 won the first few rounds ; the Xbox One tried to catch up and did a very good job at that but just couldn’t catch up. There it is folks, the console war has begun and we have announced our winner : The PS4 . However, the Xbox One is no sluch and when it comes to media and convenience, it is a behemoth which just throws the PS4 out of the water. 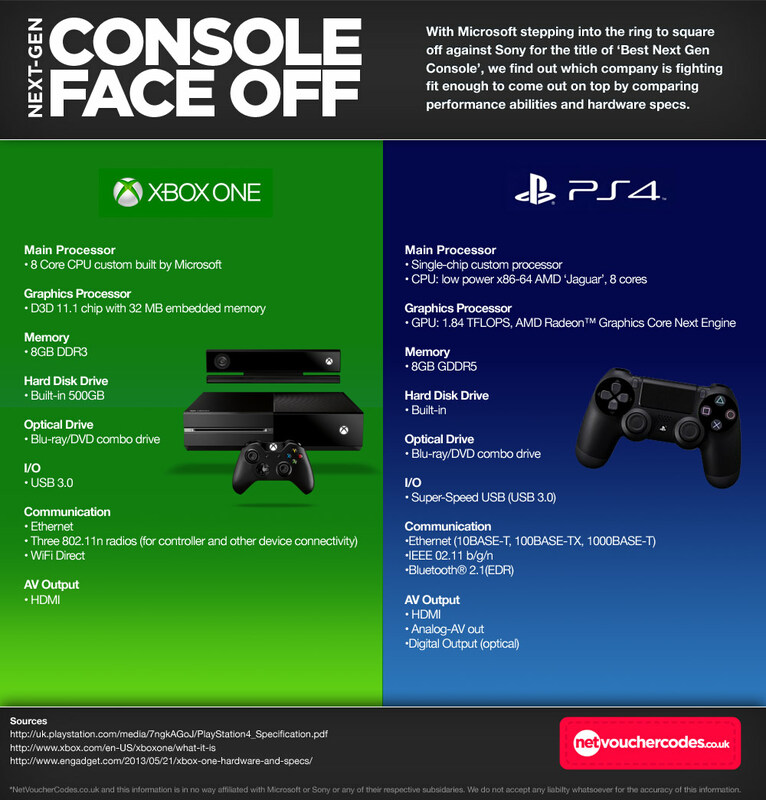 The PS4 won most of the rounds related to gaming while the Xbox One won most of the rounds related to media and convenience. Both of these consoles are not backward compatible with their predecessors, but well maybe it was just not possible considering these consoles are spaced about 8 years apart. Our opinion is to wait for the second generation as that will fix any bugs or problems but if you are eager to buy one , scroll down. So if you want a console just for gaming, buy the PS4 ; If you want a console that is mainly for media and other things but also plays games well : Buy the Xbox One.